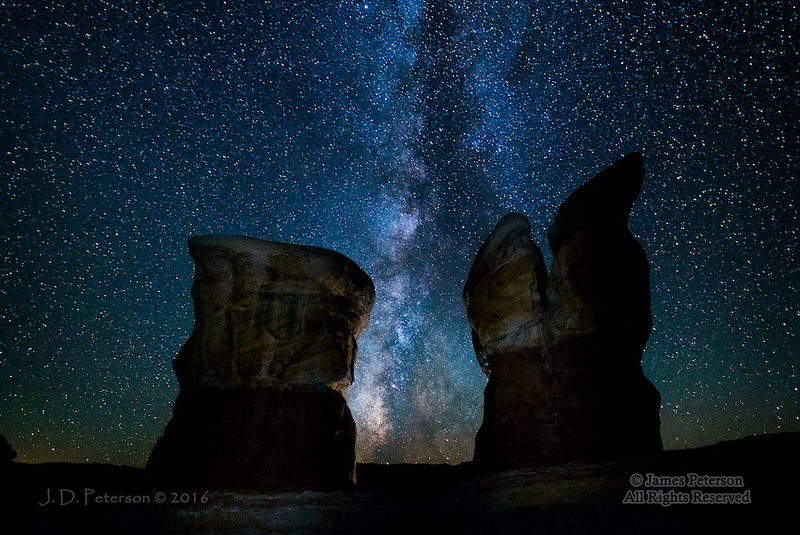 Nighttime in Devil's Garden, Utah ©2016 James D Peterson. This remarkable area is in the Grand Staircase-Escalante National Monument in southren Utah. We used just a bit of light painting to bring out some surface detail, keeping the hoodoos from being completely silhouetted.